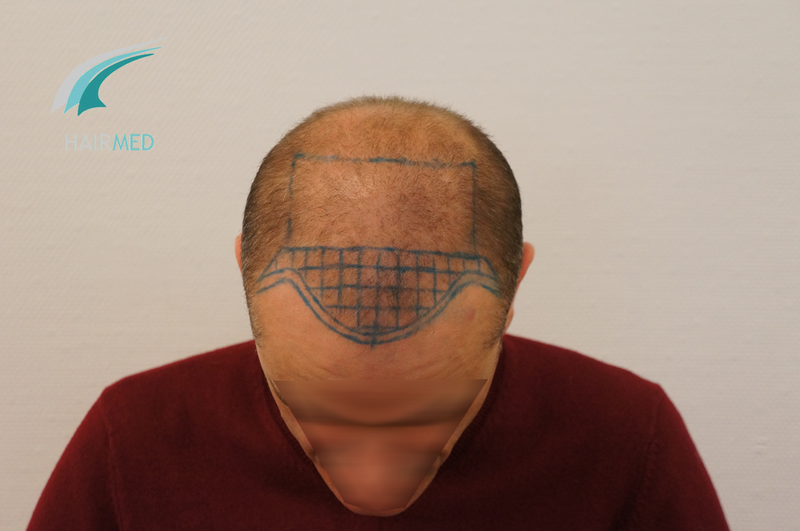 Operation goal : Global reconstruction. 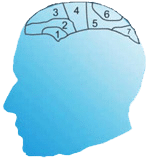 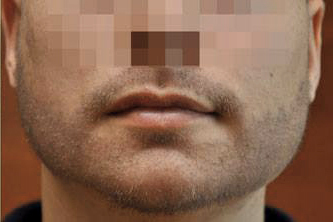 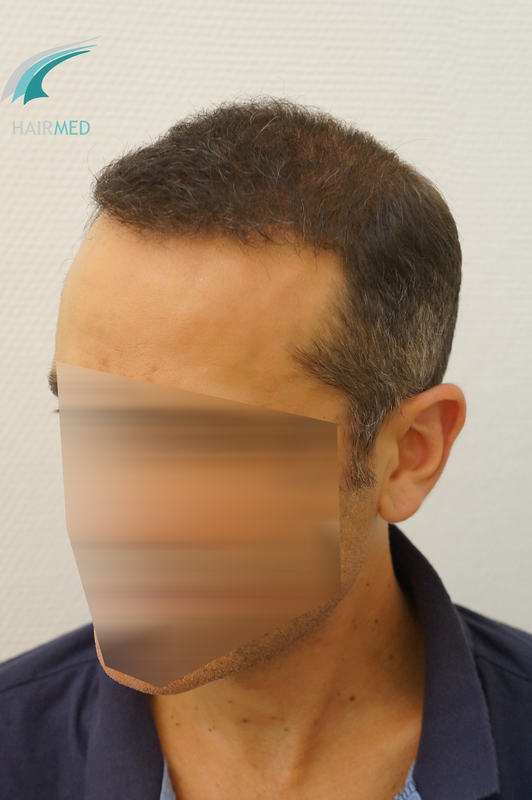 Six months only (only 50% of the growth period) after hair transplant operation, we can already notice a huge change. 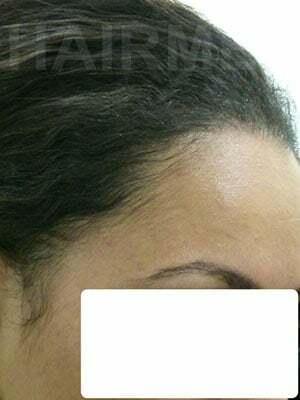 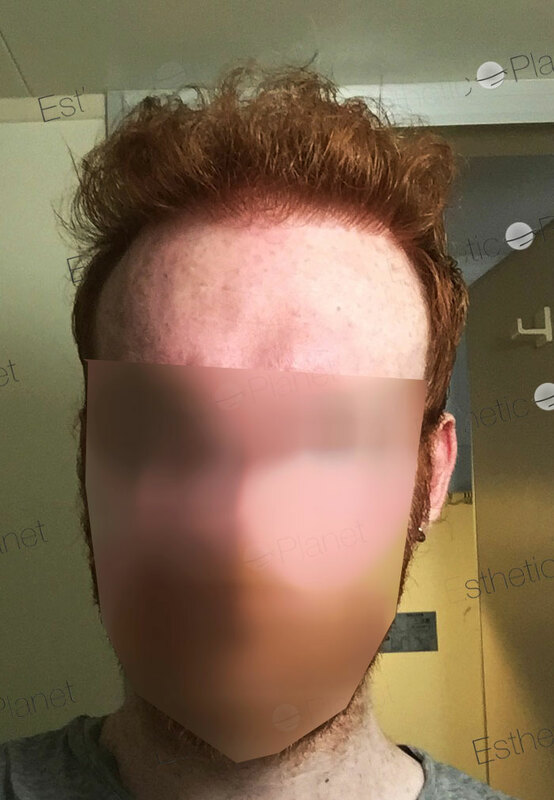 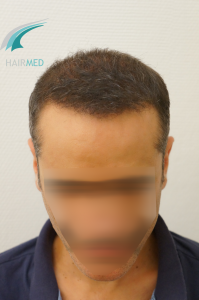 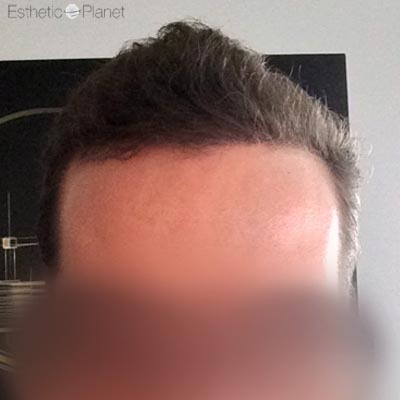 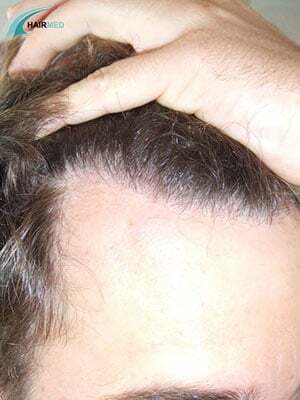 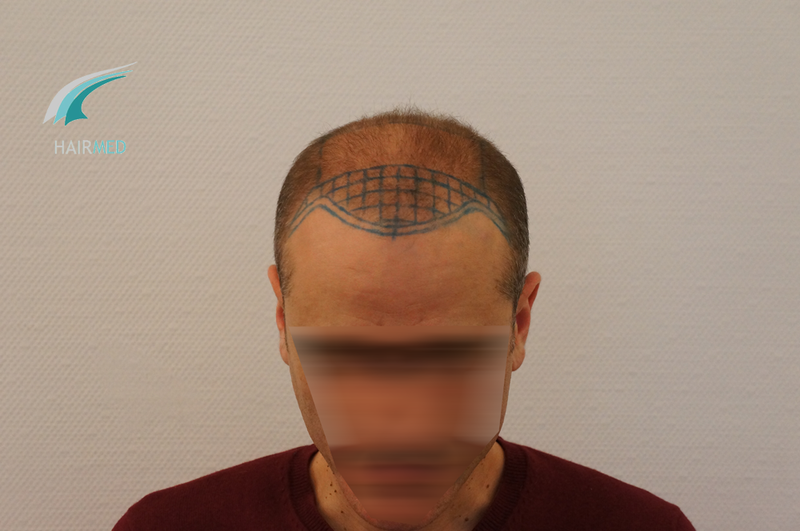 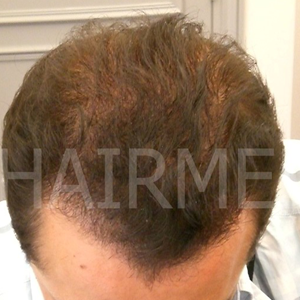 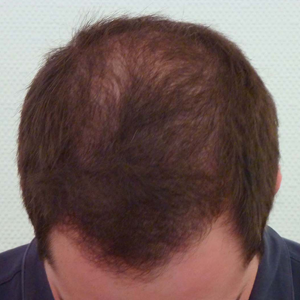 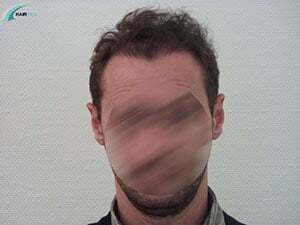 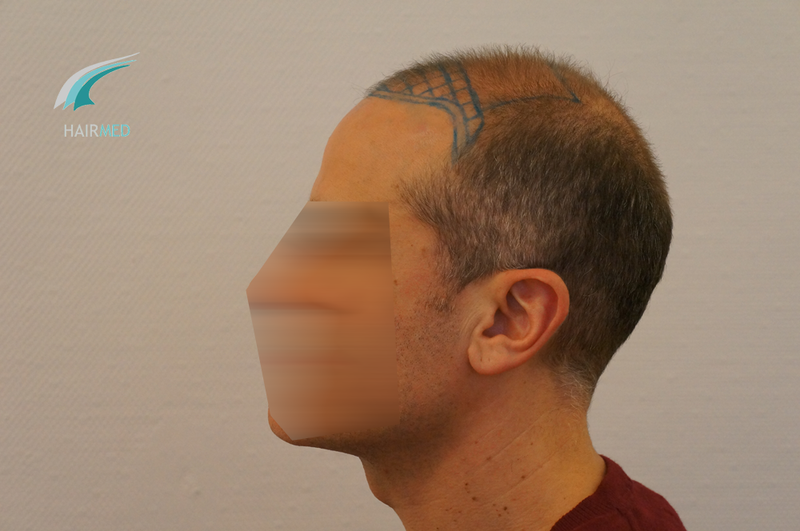 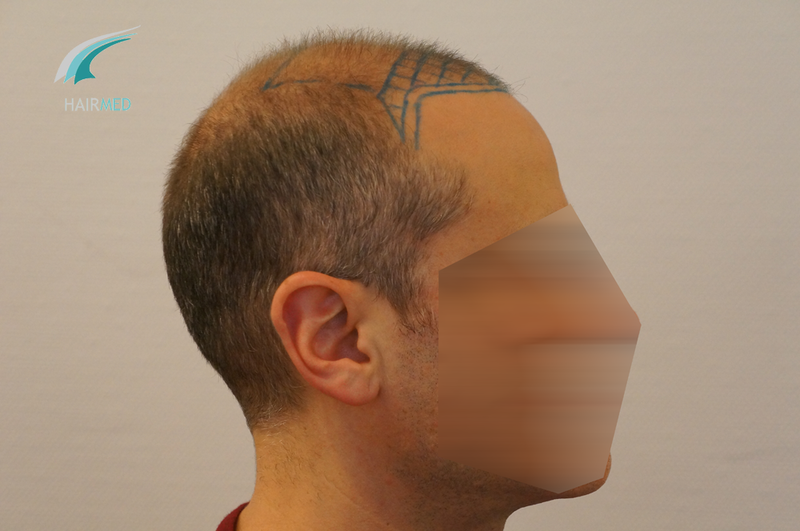 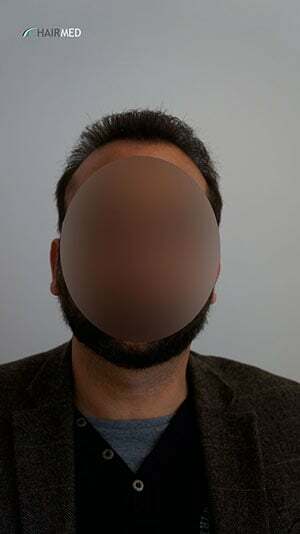 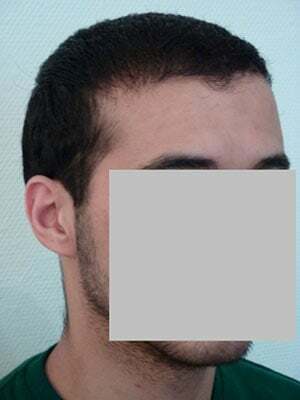 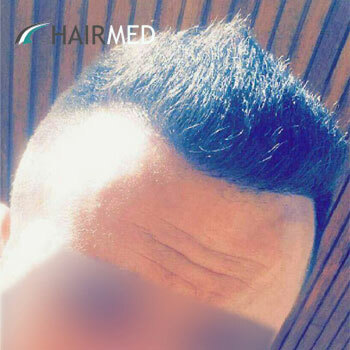 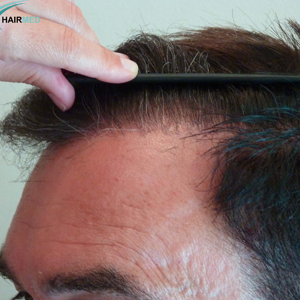 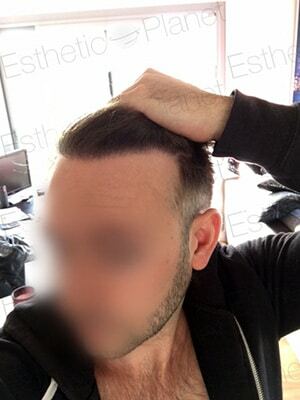 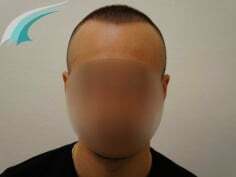 The goal of this patient was to cover the maximum surface of his hairline. 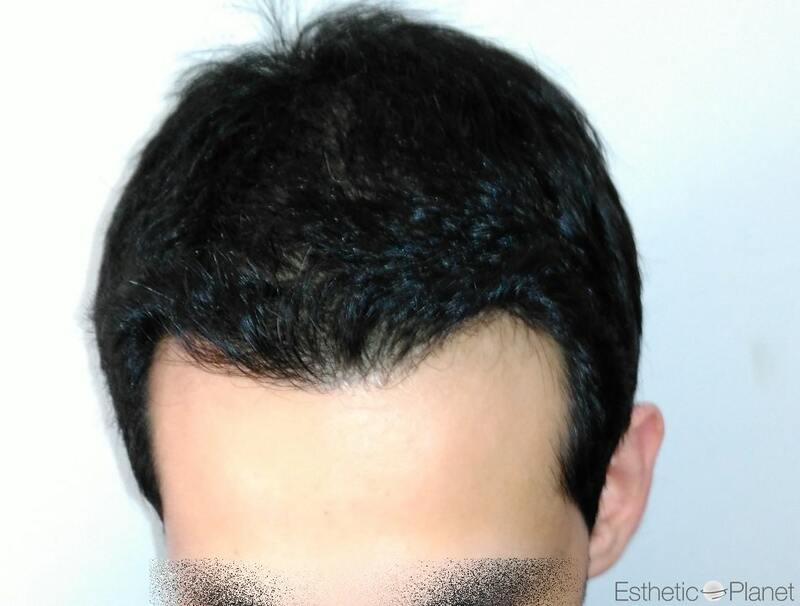 3880 grafts were implanted over a 2 days operation. 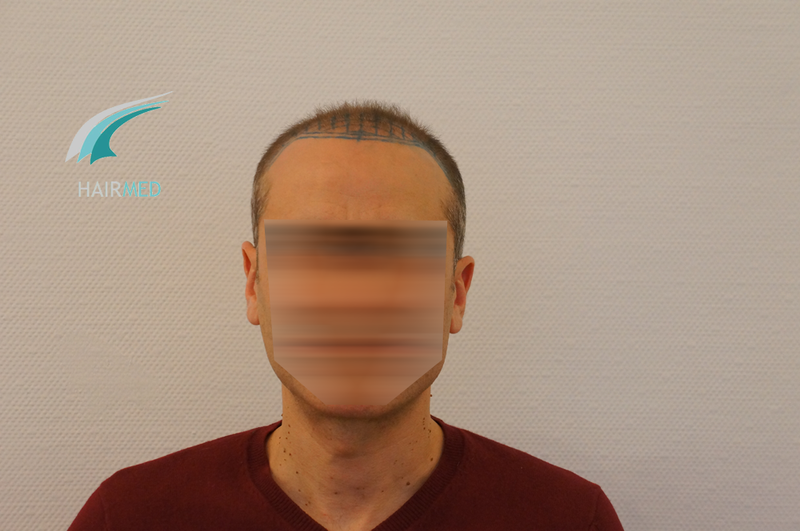 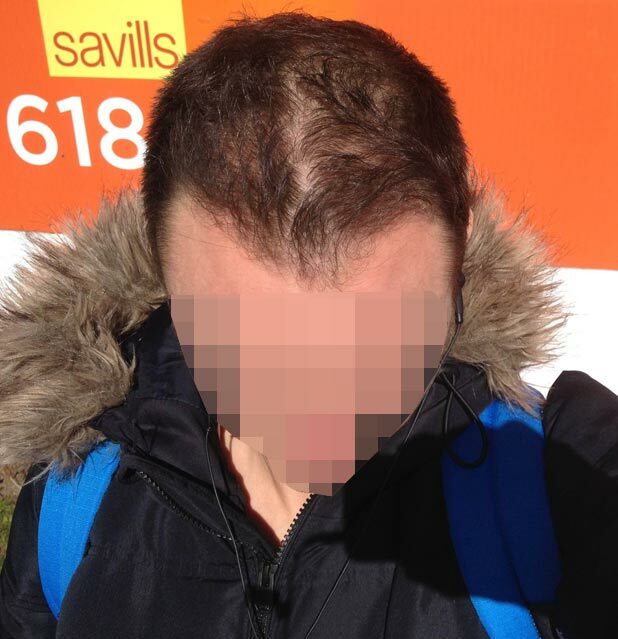 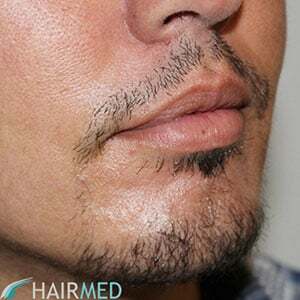 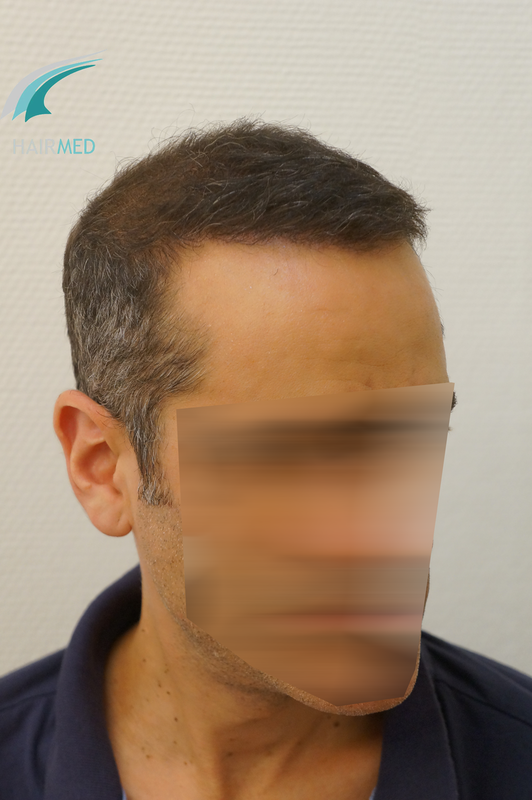 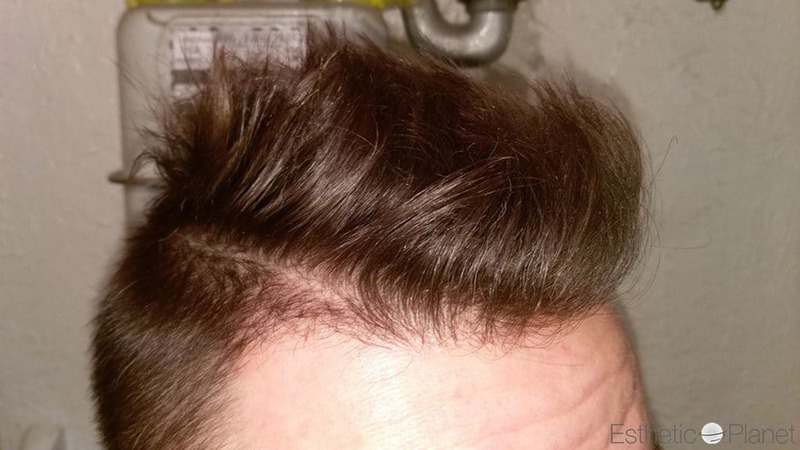 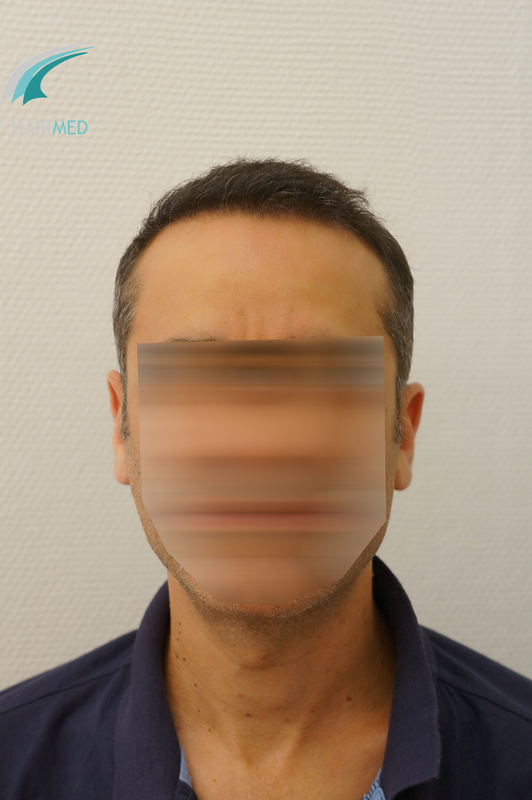 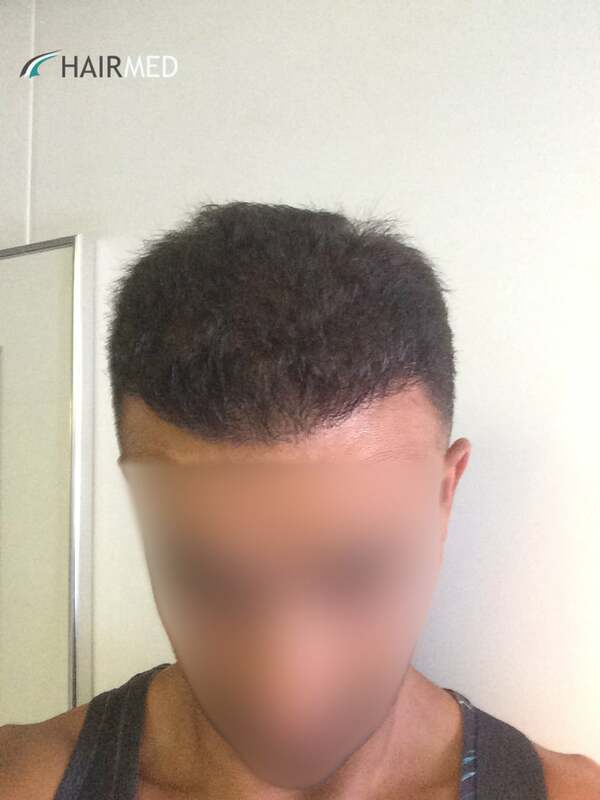 FUE hair transplant was preferred to avoid a linear scar as the patient wished. Dense packing procedure was used to on this patient and very high densities (50 to 60 hairs/cm2) were implanted on his hairline. 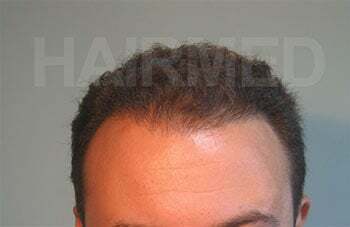 We are awaiting his final result pictures at 12 months and we will post it as soon as possible.